Dame Mary has worked with young people all her life. She took her degree and qualified as a teacher at Liverpool University, and immediately on leaving university became an officer in the Women’s Royal Army Corps. She continues this interest and chaired the Department for Education and Ministry of Defence’s London Challenge Cadet Partnership Pilot Project, and is currently vice president of the Marine Society and Sea Cadets and a trustee of the Cadet Bursary Fund. From 1985 to 1999, Mary was the headteacher of the Convent of Jesus and Mary Language College in Brent. In 1999 she was asked to join HSBC to set up, and be chief executive of, HSBC Global Education Trust, at a time when HSBC operated in 81 countries and territories. She left HSBC in 2008. Mary was chairman of the advisory committee on education to the high commissioner for Lesotho; chairman of Four Pillars, an organisation specialising in good governance; and deputy chairman and then chairman of the English Speaking Union. She continues on a number of grant-making trusts, is a trustee on several boards and a governor in three schools and a university. 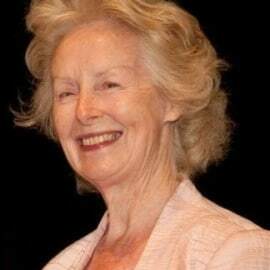 Mary holds several honorary doctorates and fellowships and is a founding ambassador of Teach First. She was awarded a DBE in 1999 for services to education.